There’s a 7 mile loop in St. George that I’ve run more than 100 times. The double loop route takes you up on top of the bluff overlooking the old St. George Airport and then down and around the back side where the original settlers of the area gathered stone for the St. George Mormon Temple. It’s got a stiff little 500 ft climb, a fairly technical decent, some road, and hands down the best views of the city. I usually run it once a week when I’m in town. One of the things I like about it is nobody goes up there. I mean, every once in a blue moon I’ll see someone up there but it’s mostly my own little private trail. Then in 2013 on some random Tuesday in August a guy who shall remain nameless saw the route on Strava and decided to run the loop. I was sitting in my driveway, changing the oil on my VW when I saw him start and finish the loop, and although I found it odd that a runner ran past my house twice that day (and then turned around and exited my neighborhood), I didn’t really know what he’d done for a couple of hours until his run updated to Strava. All of a sudden my phone started beeping, and beeping, and beeping, and didn’t stop for 6 minutes. I thought my phone had somehow gotten stuck repeating my Strava notification sound. This guy took ALL my Strava KOMs that day. I was CRUSHED. To top it off, he took 17 min off my Strava KOM for the complete route! Fast forward to last year’s training for Wasatch, I was losing a bunch of weight and getting some speed back. I ran that loop quite often in the spring in training. The motivation his KOM provided was exactly what I needed to help me push through runs that I really didn’t want to do. 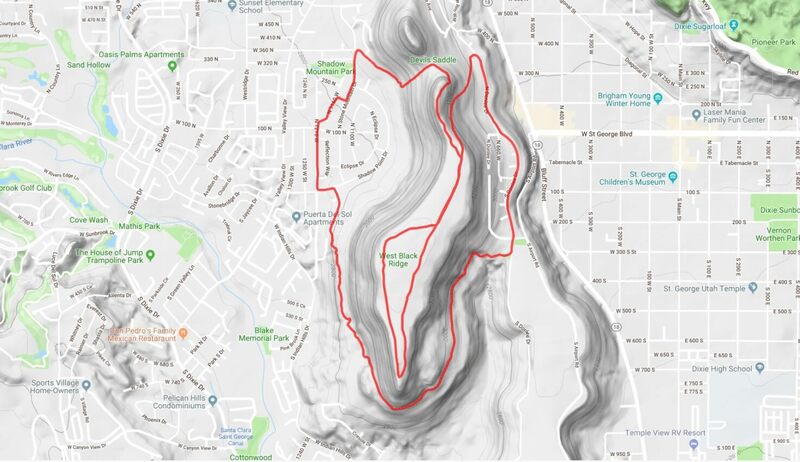 1- if you run the loop and upload the run it to Strava before June 15th, I’ll give you a 10% off code that you can use for any distance at The Capstone Races in 2018. 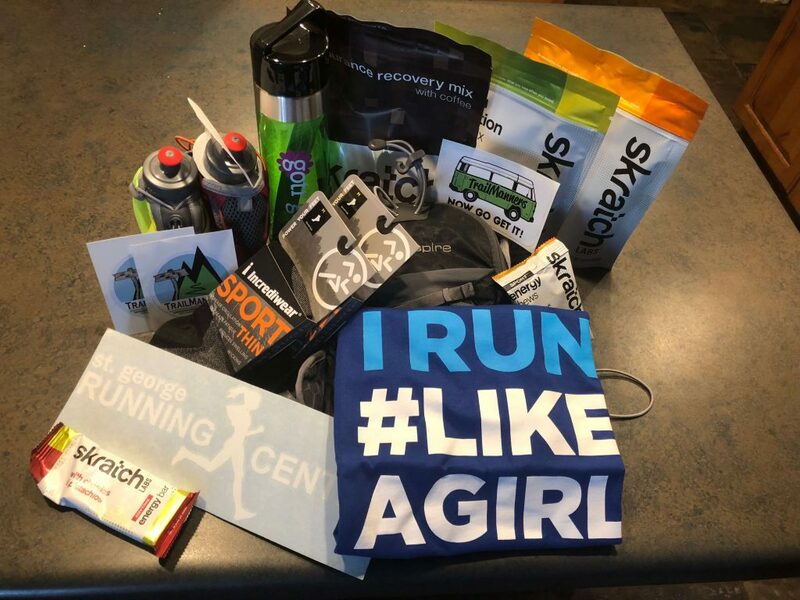 2- If you have the KOM/QOM on June 15th, You win this nice little prize package from our 2018 Sponsors. Start at the Start/Finish Line located at: 169 N. 1160 W.
Head north and then turn right to a “cut-through” located at approximately: 208 N. 1160 W. this will take you to N. Stone Mountain Drive, turn left and continue past the park to: W. 360 N. Street – turn left and go to the end of the cul-de-sac where the trail begins. Run up the trail to “Devils Saddle” and then turn right and head up to the top of the hill. Continue on the trail until you get to a double track dirt road and turn right. In about 1/3 mile the road will “Y” split, turn right. Follow that road until the end of the bluff where it will make a sharp left turn and head back to the “Y” split. Continue to the right and head back on the double track until the road drops off the bluff and intersects with the paved Donlee Drive. Turn right and follow Donlee Drive til you get to the Temple Quarry Trail head at 300 S. Donlee Drive. Turn right and onto the Temple Quarry Trail. Follow this trail for about 1.25 miles until you pass the Quary and head down a hill and take a sharp left turn. at the bottom of the hill, take the smaller trail to the right and follow it until you come to a small “Y” junction. Take a left there and head down toward the big grey mansion. Exiting the trail to the left of the home on the pavers will put you on 1160 W Circle. Run down the paved road until it T’s at Shadow Point Drive, turn left and then take the next right onto 1210 W. Street. Follow that road to W. 120 N. where you’ll take a right. This road will curve to the left and turn into 1160 W. street where you’ll see the Start/Finish Line painted on the Blacktop infront of 169 N. 1160 W.